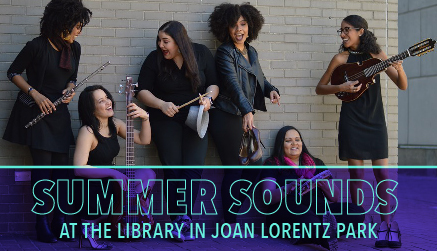 Summer Sounds at the Library in Joan Lorentz Park: Event moved to the Lecture Hall due to the weather. Update: This is the rescheduled date for this event (original date was July 17). Join the all women Salsa Band 3nity, Paa Seck and Diery Band from Senegal and the Albino Mbie Trio. Bring your own picnic or stop by one of the food trucks available. Free and open to the public. All ages. Sponsored by the Cambridge Public Library Foundation.